Welcome to our careers page! Here we have a list of the job openings we are currently hiring for. Here at Bloom we have what we call a “culture of excellence” and everyone of our employees fits into that. Our crew members and customers are our family here and we always do whatever we can to make them happy. 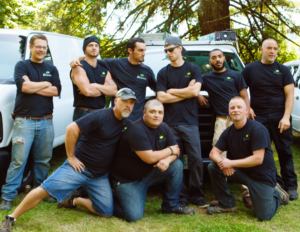 Working in the crawl space field is tough, but with this crew you won’t even notice. We like rock music, country, reggae and pop; although we love to have a good time we always get our jobs done, on time, every time. If this caught your attention and you think you’d fit with our crew, carry on and see what positions we have open right now. A Crawl Space Commander is a leader. Someone who can take charge and get things done. We need someone who works well with others and doesn’t mind getting dirty. For this job, you’re going to need background in construction with a knowledge base of general construction and drainage systems. With this job you will be in charge of one of the most hard working teams in *** America!! Are you strong? Like to get dirty? GREAT! Here we are looking for someone who is strong (you’re going to be lifting 50+ lb bags for extended periods of time). You’ll be spending up to 8 hours a day in and out of a crawl space (gettin dirty)! If hired on, you’d be working with an awesome team! Some of the hardest working men and women work for Bloom and we’re looking for someone who can match our energy and has the same work ethic as us. We work hard and the rewards make is all worth it. Are you intrigued? Do you like talking on the phone? We are looking for somehow who has a passion and the voice for talking to new and existing customers! 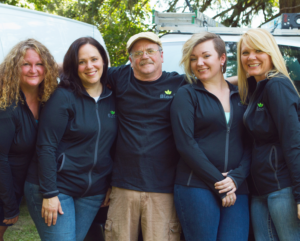 Our customers are our friends and we need someone who can chat with them and help them to schedule up an appointment for their next pest treatment. Sounds intriguing? If you’re interested in a Pest Control position feel free to click here and check out our Pest Control page! 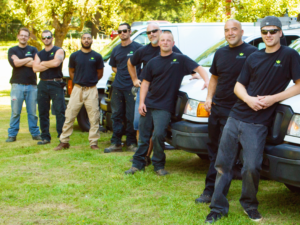 *** There is no proof that this crawl space team is the hardest working team in America, it is not a fact nor do we claim to actually be the hardest working team in America. If you didn’t find this funny, you probably shouldn’t apply here because that was funny.